Back when the New Haven was still a prosperous, blue-chip corporation it could afford to put significant amounts of money into its stations. 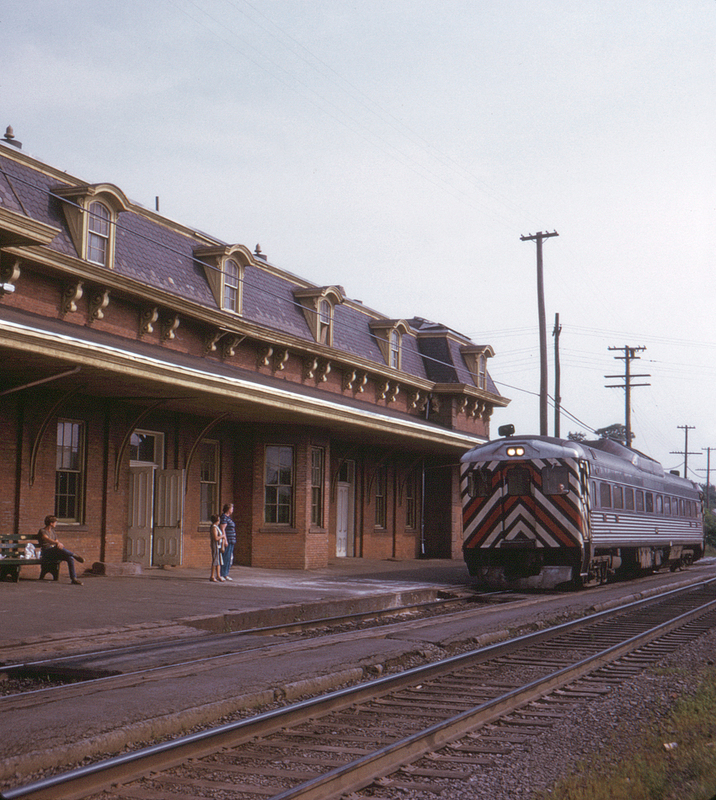 By 1973 Amtrak had downgraded service to rail diesel cars for this line; this car pulling to a stop is headed north to Meriden and Hartford, Connecticut and eventually Springfield, Massachusetts. This magnificent structure still stands in 2018 but no longer serves the city's passengers.